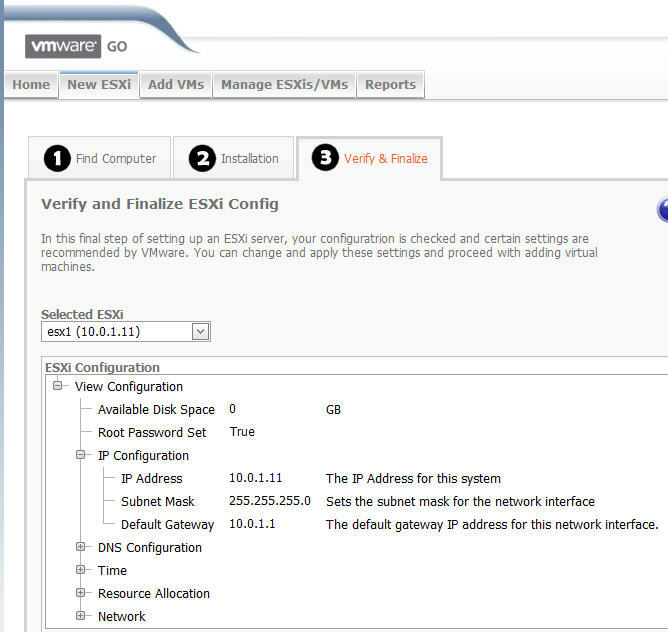 With VMware Go, SMBs and VMware first-timers have an easy entry into VMware ESXi virtualization. 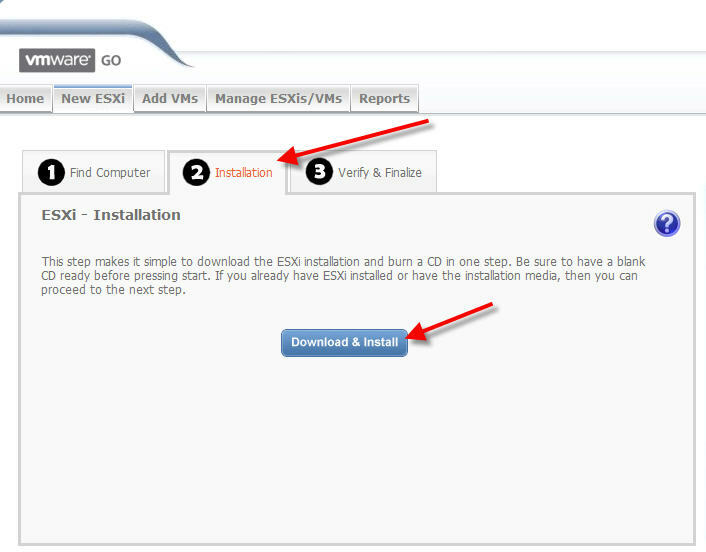 Get step-by-step instructions on using VMware Go. What is the fastest and easiest way to turn an existing server or higher-end desktop into your new virtualization consolidation platform? VMware Go. It will guide you through finding a suitable server on your network, installing VMware ESXi, configuring ESXi, and migrating or installing new virtual machines. Best of all, it's free. This article shows you step by step how to use it. Go isn't for advanced administrators. Go is for those new to VMware, new to virtualization, and even those who may never have heard of ESXi. For those admins, there is a learning curve (just as there is with Hyper-V), and Go is can reduce that learning curve. VMware Go was announced on Aug. 31 during VMworld 2009. It was created not by VMware but by VMware partner Shavlik Technologies. It is designed to make adoption of VMware ESXi, VMware's free virtualization hypervisor, easy for small and medium-sized businesses (SMBs). Let's say that you work for a SMB and have one relatively new physical server, three older servers, and a couple of older task-oriented desktops. VMware Go can help you consolidate all these physical machines into one physical server and save your company time and money. Go installs ESXi on a physical server, helps you to configure and then migrate physical machines into virtual machines (VMs) on the new ESXi servers. 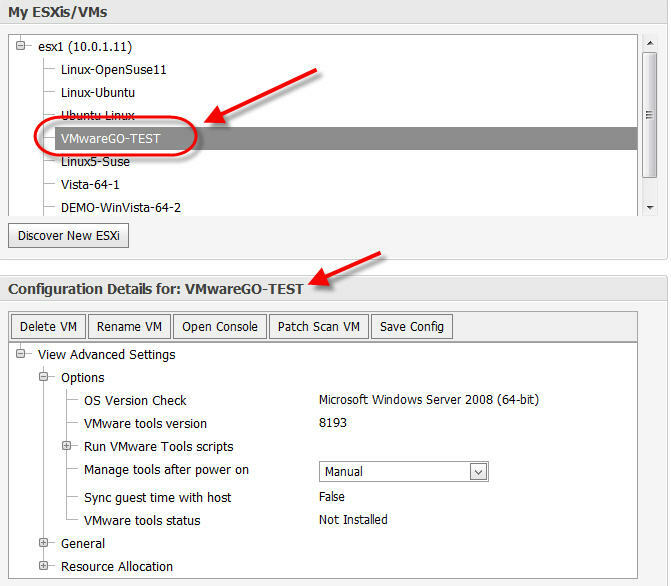 Go also helps you to create new VMs with fresh guest operating systems or download VMs from the thousands available at the VMware Virtual Appliance Marketplace. Go also provides reporting on the new virtual infrastructure. All this happens from a simple wizard-driven Web interface. report on the physical host, VMs, and performance of the new virtual infrastructure. Technically, VMware Go is still in a beta testing phase but it is open to the public. Honestly, I don't see any reason you shouldn't use it. There is no part of it that still seems buggy or incomplete. It is likely in beta so that VMware and Shavlik can continue to get feedback from customers and see how Go is received. I love how VMware calls Go a "cloud-based application." I guess any Web-based application available on the Internet is now called a cloud-based application. But to me, it's still just a Web application. I think that VMware created Go for Windows administrators who might otherwise consider Hyper-V. Most SMBs are running Windows and are therefore familiar with the basics of its administration. The move to installing Hyper-V as a service inside Windows Server seems simple compared with installing a whole new operating system. 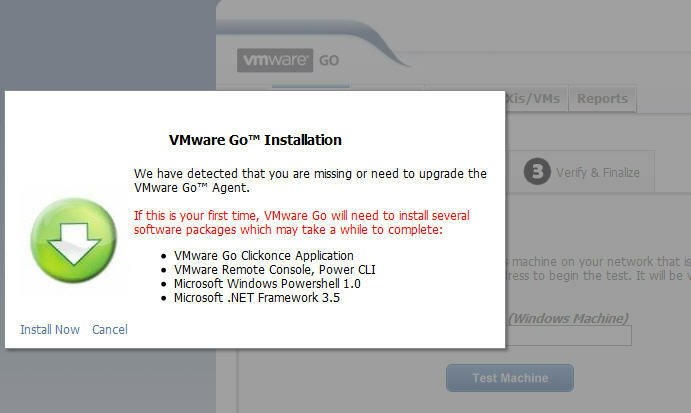 VMware Go shows Windows admins that installing VMware ESXi can be quite simple indeed, and even better, Go can migrate an admin's VMs as well as help them configure and report on their virtual infrastructure. 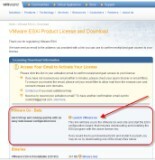 You can access Go by going to VMware.com and clicking on VMware ESXi (free download). 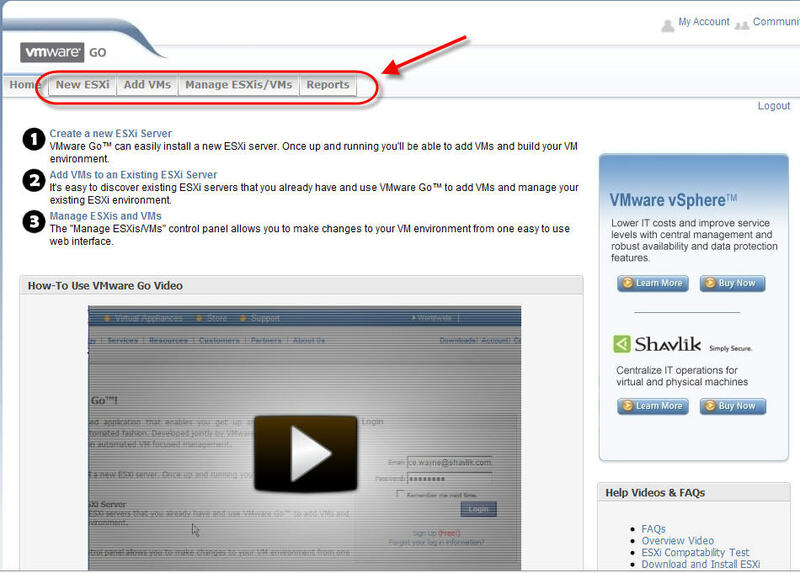 Then, log in with your existing VMware username and password or register for the free download. By clicking Launch VMware Go, you'll be taken to the VMware Go Web portal where you will need to log in again with the same VMware username and password. Once you log in, you may notice the tabs across the top: New ESXi, Add VMs, Manage ESXi/VMs, and Reports. The tabs and the Web-based interface are a huge part of what Go has to offer. Everything that Go does is done in this simple Web interface. 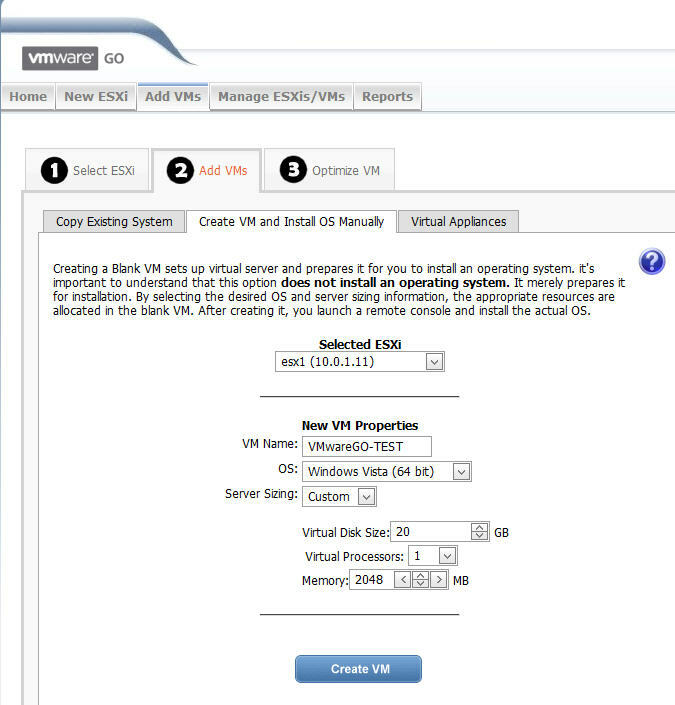 As you can see in Figure 4, Go leads you through the process of creating a new ESXi server, adding VMs to the new ESXi server, and managing the new ESXi server and VMs. Here's how Go helped me to convert an existing Windows PC into my new VMware ESXi server, install VMs, configure ESXi, and report on its usage. I first clicked on Create a new ESXi Server and was told that I needed to do a few installations to allow my PC to use VMware Go. I installed the applications featured in the image below. The installer told me that my Vista SP1 machine was unsupported and that I needed to upgrade it to a later service pack. I didn't take that advice and did the install anyway. This is likely why the installer froze partway through. I closed my browser, reopened it, and started the install again. This time it finished without trouble. In total it still took only about five minutes to install all the necessary pieces (including VMware's PowerCLI). From my laptop computer: The system is not listed on the HCL (Hardware Compatibility List) but does meet the minimum hardware requirements. I didn't have a computer that met the HCL that didn't already have ESX on it. From here I moved on to the Installation tab. 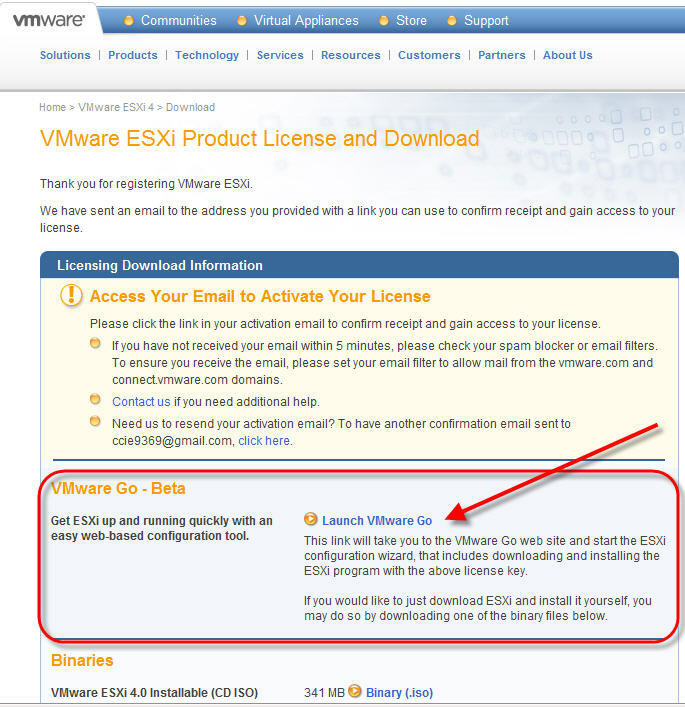 This is where you download the ESXi ISO image. 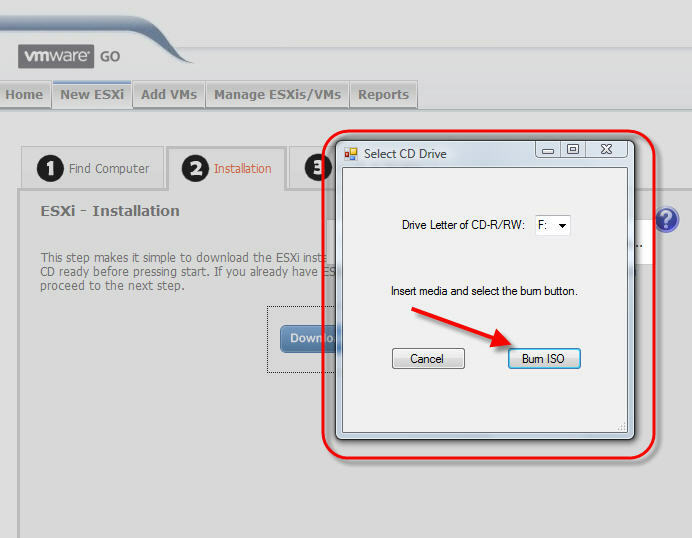 VMware Go downloads the ISO and even burn it to a CD or DVD disk. I don't think I have seen a Web-based application before that will burn CD/DVD media. From here, go through the standard ESXi installation on your new server. That install takes all of about five minutes as ESXi is tiny. This is nothing like installing Windows Server -- trust me. Once your server is up and running, go to the third tab called Verify and Finalize. Here you will first Discover ESXi so that Go can talk to your ESXi server. Do so by typing in the ESXi server and IP address (even if it is a DHCP-assigned IP address, as will be the default in ESXi). 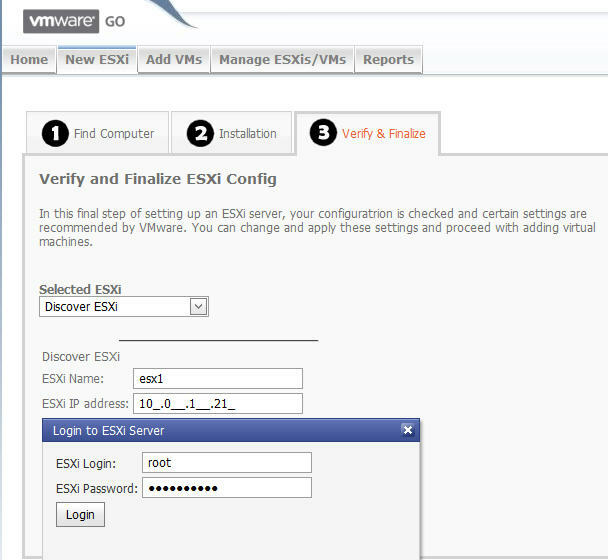 After you enter that, you will be prompted for your ESXi root username and password. Once I added the ESXi server, I can to change the configuration. 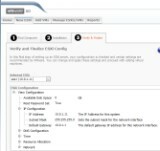 ESXi involves little configuration, but you're able to change settings for IP address, subnet mask, DNS, time, resource allocation, and other network settings. I accepted the default network settings and clicked Add VMs. Again, this works off the "1, 2, 3" system where you select your ESXi server, select how to want to add new VMs, and then optimize new VMs. 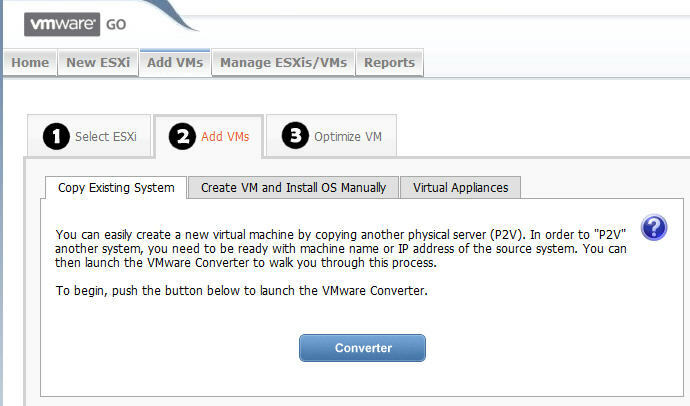 You can add the VMs either through VMware Converter, by creating a new VM and installing a new OS or by downloading a VM from the VMware Virtual Appliance Marketplace. I was impressed that this Web-based interface could actually perform a P2V conversion, but I did not try it myself. 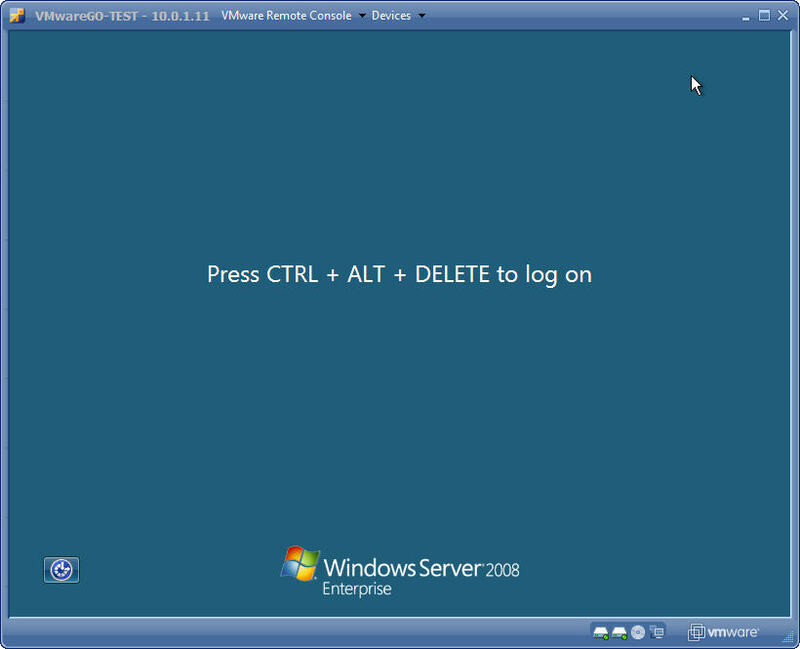 Instead, I opted to add a new VM by creating a new VM and installing the OS myself, as you see in the following image. Keep in mind that Go doesn't install the OS for you, it just creates the VM. Once you create the VM you will need to go to the management interface, map the OS installation CD, open the console, and install the OS yourself. Once you create your new VM, you want to Manage your ESXi servers and VMs at the next tab across the top. Below you see the new VM we created and how it can be managed with Go. If you launch the console, it looks like the VMware Player console window. The last tab across the top is the Go Reporting features. 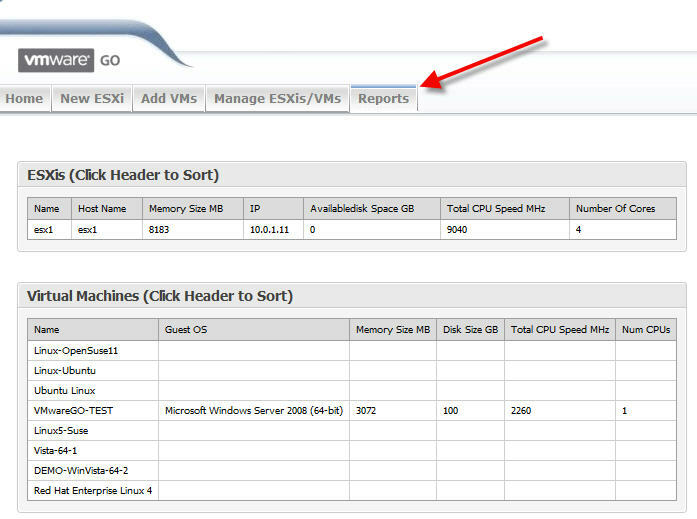 Go offers ESXi host and VM reports as well as reports on patches that have been applied or need to be applied. While it's far from VMware's vCenter in functionality, Go does do much more than I expected it to do and it does a good job of guiding those new to VMware in how to (1) find a suitable ESXi server; (2) install ESXi; (3) configure ESXi; (4) get VMs up and running fast; and (5) report on what you have. For a cloud-based application in beta, VMware Go impresses. As promised, I think that Go "goes" a long way toward making a migration to VMware ESXi quick and easy. I hope that VMware will promote Go to SMB users that would otherwise use Hyper-V simply because they believe it's easier. All in all, Go a good thing, and I am doing my part to get the word out about it. David Davis is the director of infrastructure at TrainSignal.com. He has a number of certifications including vExpert, VCP, CCIE #9369 and CISSP. Davis has also authored hundreds of articles and six different video training courses at Train Signal with his most popular course being VMware ESX Server. His personal website is VMwareVideos.com. You can follow Davis on Twitter or connect with Davis on LinkedIn.